Democratic senator claims Trump administration wrong to withhold documents as Senate prepares to vote on Supreme Court confirmation. While most eyes in Washington, D.C., are focused on the U.S. Senate chambers, at least one senator, Oregon's Jeff Merkley, is watching the local federal courthouse. Merkley, a Democrat and the state's junior senator, sued the Trump administration and U.S. Senate leadership Sept. 26 in U.S. District Court for the District of Columbia, claiming the administration violated the separation of powers act by withholding thousands of pages of documents fleshing out Judge Brett Kavanaugh's time in the President George W. Bush White House. On Wednesday, Oct. 3, Merkley filed a request for a temporary restraining order, asking the court to block Kavanaugh's confirmation vote until the documents are produced and reviewed. Kavanaugh's nomination, which was briefly delayed by an FBI investigation into an allegation of sexual assault, is expected to get a vote on the Senate floor Saturday, Oct. 6. The Senate Judiciary Committee requested the Bush administration documents, but President Donald Trump labeled thousands of them as "privileged" communications. Merkley's lawsuit claims that without access to the documents about Kavanaugh's time in the White House, senators have been prevented from performing their constitutional obligation to "advise and consent" on Supreme Court nominees. 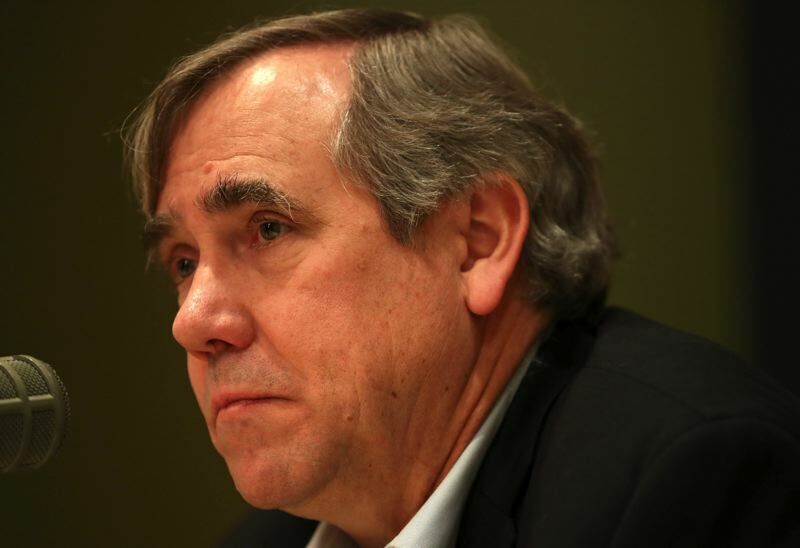 "This is unprecedented," Merkley told the Tribune on Thursday, Oct. 4. "To use a claim of presidential privilege to block a massive number of records after a nomination? I've asked a lot of people, and no one can think of an instance when this has ever happened before." Merkley said federal Judge Amy Berman Jackson gave the White House until the end of Friday to respond to the lawsuit. With a vote on Kavanaugh possibly coming to the full Senate as early as Saturday, Merkley said he may waive his right to respond to White House arguments and ask for an immediate ruling from the bench. "We're up against a clock," he said. "And the clock is running out."